Arguably the most enduring sporting symbol in Australia, the Baggy Green typifies the Australian spirit and its ideals of courage, mateship, perseverance and camaraderie. This felt crown, adorned with an iconic crest of two symbolic and native fauna – the emu and kangaroo – speaks volumes about the expectation of a nation for each recipient; when you wear the Baggy Green, with every effort with bat, ball or in the field, you represent each and every one of us, and never will a backward step be taken. While it is only the best that ever get the opportunity to represent Australia on the biggest cricketing stage, it takes someone special to lead them – one who has the perfect blend of talent, commitment, relentlessness and determination. One who inspires, leads by example, and only ever looks back to help his comrades join overcome adversity and join him in shared excellence. One who shows a willingness to carry his brothers in times of trouble, yet shows humility in his successes. Michael Clarke is each and all of these. A wunderkind who might well have been born with an elegant mastery of the off side, Clarke was earmarked as a future Australian leader well before he took on the role. In captaincy, though, he has flourished – a proactive, aggressive tactician in the field with centuries, doubles and triples in the middle. From the first ball to the last ball, his approach to all facets are undoubtedly Australian, which make him not just a champion who will go down in cricketing history, but our National Pride. 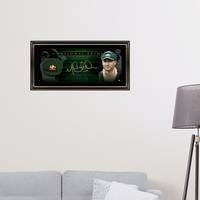 Official Memorabilia, in conjunction with Cricket Australia, are proud to release ‘National Pride’, a lithograph paying tribute to both the iconic Baggy Green and Australia’s fearless leader, Michael Clarke. 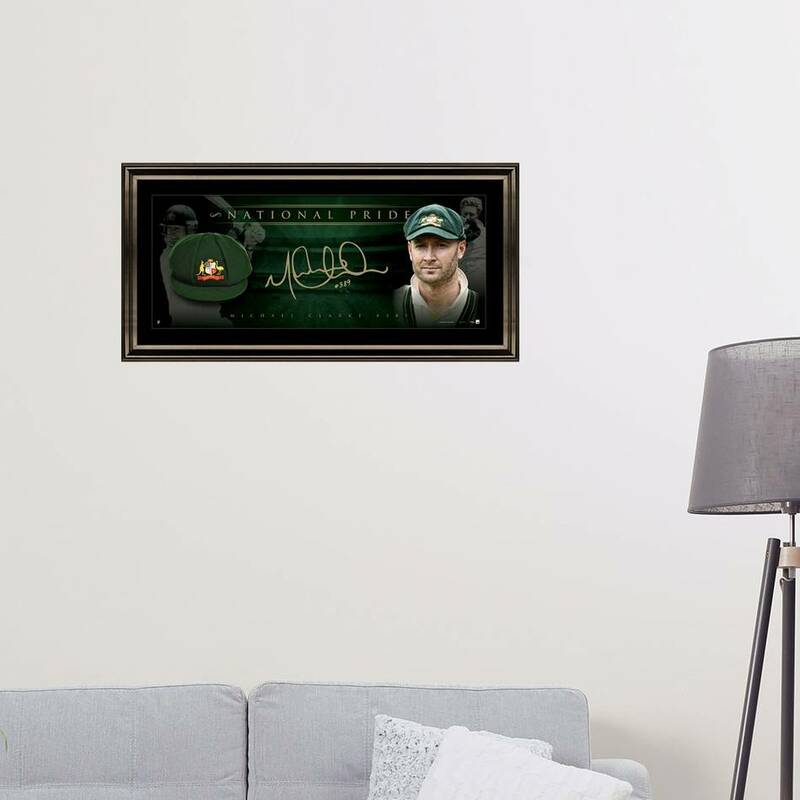 Featuring a replica Albion baggy green and personally signed by Australia’s Test skipper, ‘National Pride’ is a must have for Aussie cricket fans and astute collectors alike.